EXPERIENCE THRIFTING AT ITS BEST. Appointments are typically scheduled 3-5 days in advance. 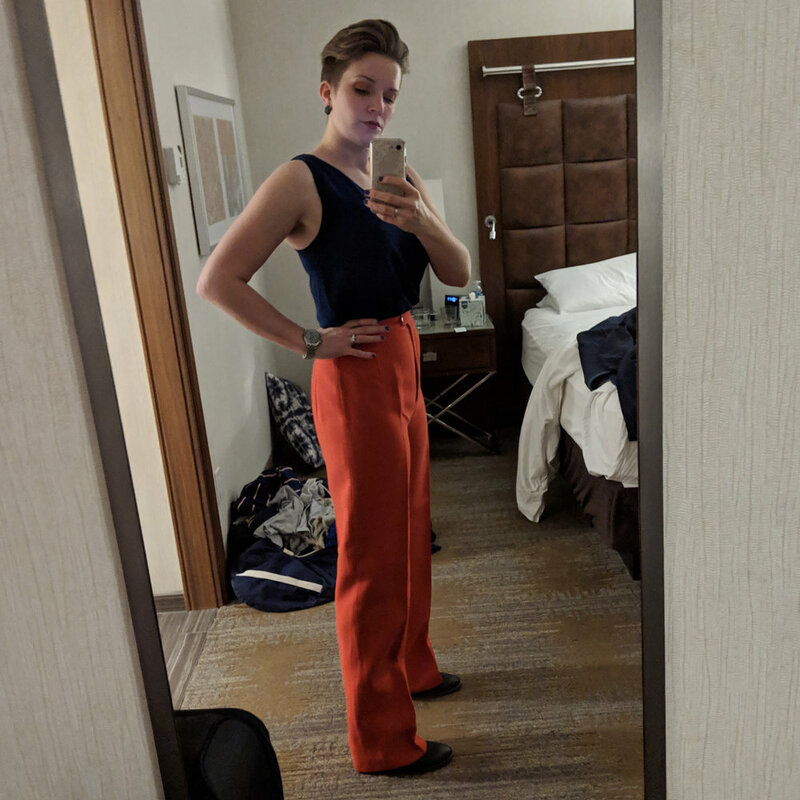 Be sure to fill out the custom questionnaire here so Caitlin can prep pieces you’ll love based off your personal style preferences from day wear to special occasions. Caitlin will follow up in advance once your questionnaire is submitted to make an unforgettable experience for you. 5-10 looks will be pulled in advance including shoes and accessories based off your questionnaire. A private dressing room will be booked for your appointment. 60 minutes is devoted to your scheduled appointment including a complimentary water. You can also bring in pieces you have from home you’ve always wanted to bring to the next level or if you never found that perfect piece to compliment it. Caitlin can also help to recommend finishing touches such as alterations, hair and make-up. “This experience with Caitlin has made me a thrift store lover.